Feed The Need - Ocala Outreach Foundation Inc.
Feed the Need is a non-profit, faith based organization established under the umbrella of Ocala Outreach Foundation, Inc. The main focus and mission of Feed the Need is to offer much needed support while positively impacting underprivileged youth in Marion county, particularly those who are without a home. In our county alone there are over 3,000 registered children and young adults who don’t have a place to lay their heads at night. That’s not including the hundreds, possibly thousands, who are not registered. The scary thing about that number is that it’s growing every day. The Feed the Need organization is able to affect change through the collaboration of local resources, faith and valuable community partnerships. Rondo Fernandez, founder of Feed the Need, has always had a passion for helping those in need, particularly children and young adults who are a product of unfortunate circumstances that are usually out of their control. In the short time that Feed the Need has been active, the organization has contributed over $10,000.00 to Interfaith and the Marion county School Board homeless youth program. These programs put money towards food, clothing and hygiene supplies for homeless youth in our county. Feed the Need was able to raise these funds by hosting multiple charity and fundraising events, like the Annual Blues Festival and the Night of Praise. Partners throughout the community are coming together, forming a united front for the greater good, which directly impacts our community. GET TICKETS & MORE INFORMATION HERE! 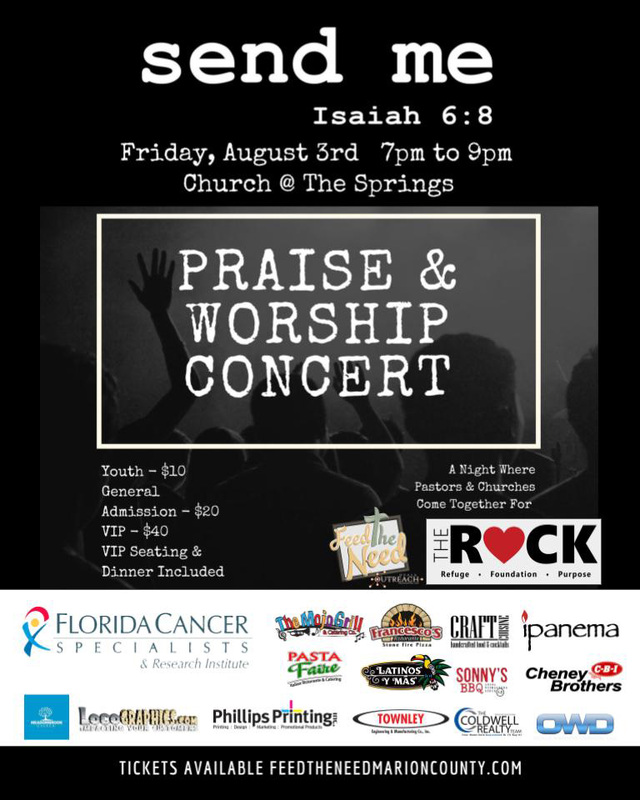 © Ocala Outreach Foundation Inc.